Wuxi Aomeite is a leading molded rubber parts manufacturer in both product quality and customer service. Our team has invaluable rubber molding expertise, which allows them to use our state-of-the-art injection molding technology to produce exceptional rubber parts. Here at Wuxi Aomeite, we utilize efficient plastic technologies that allow us to produce our parts at a faster rate than other companies, while maintaining high quality standards. Regardless of the custom molded rubber part you need, we will work with you from the very beginning of the prototyping phase all the way to your finished product. Working with Wuxi Aomeite provides a variety of advantages. Not only are our products consistent in quality, but we offer the services necessary to give our customers a pleasurable design experience. We can help with your part’s design, prototyping, production, final touches, and assembly. You do not have to go through multiple companies to get a finished rubber part when you work with Wuxi Aomeite. 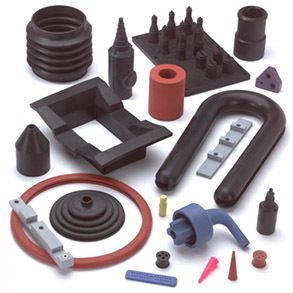 We are a one-stop rubber parts manufacturer. Wuxi Aomeite is also a ISO-3302-1-1996 certified company, showing a dedication to quality. We want to ensure that our customers are entirely satisfied with their products. Therefore, we put extensive energy into lowering costs and bolstering efficiency.